Опубликовано 1 февраля 2014 г.
WordPress 3.8, code named "Parker" (in honor of bebop innovator Charlie Parker) is now available in the Azure Web Sites App Gallery. WordPress 3.8 is a major facelift compared to previous versions, with a modern, flat, and uncluttered design, clean typography using Open Sans typeface, and a colorful Admin Dashboard. With Parker, WordPress also adapts better to different platforms, and displays better with faster rendering thanks to vector-based icons. 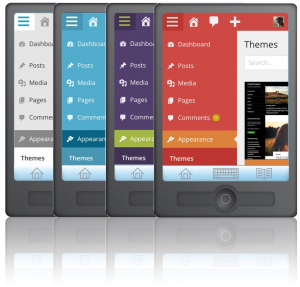 In addition, WordPress 3.8’s theme management interface is more streamlined and improves on the Widget management experience. A full list of changes and new features is available here.